The following is an attempt to outline a suitable policy for a structural reform of the energy sector in Myanmar. The short report aims to demonstrate viable options to reform the energy and power generating sector and will provide recommendations with regards to priorities for institution-building. 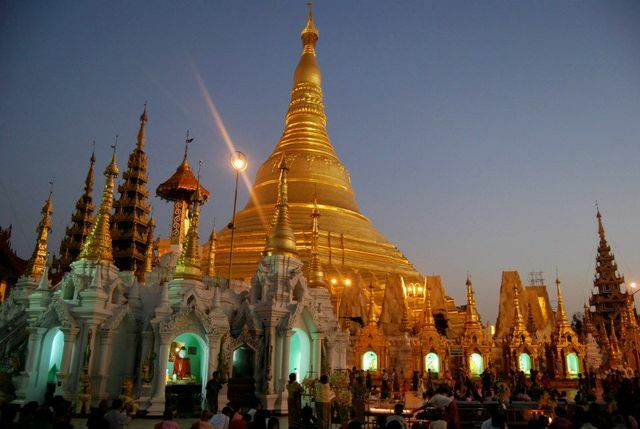 Furthermore, recommendations will be provided on how the Myanmar government can use renewable energy to attract additional financial capacity from private investors. In December 2016, an alliance of donor and borrower governments pledged a record USD 75bn to fund projects for inclusive economic growth and poverty reduction. The money was allocated to the International Development Association (IDA), which is the part of the World Bank dedicated to assist the world’s poorest countries in their development. The funding will enable IDA to establish a USD 2.5bn private sector window (PSW) and to explore innovate ways of development interventions by crowding in investors from the private sector and using funds from capital markets. IDA’s PSW is thus aiming to mobilise financial flows from private investments for international development co-operation. The PSW will be introduced in collaboration with the International Finance Corporation (IFC), the World Bank Group’s specialist vehicle for the private sector, and the Multilateral Investment Guarantee Agency (MIGA), which provides political risk insurance and credit enhancement guarantees. IDA could use its PSW to channel funds to Myanmar’s public sector and attract additional financial capacity from the private sector to transform the South-East Asian country’s energy sector and thus facilitate socio-economic growth and development. Myanmar has an abundance of energy resources such as hydropower and natural gas. Strategically located, Myanmar would be able to export energy resources to neighbouring countries such as China, India and Thailand to meet their high energy demands resulting from rapid economic growth. In 2013, the energy sector generated 55 percent of export earnings and accounted for 86 percent of foreign direct investments, according to the Asian Development Bank. Unfortunately, Myanmar’s energy sector has not been properly developed in the last decades due to insufficient funds and technical capabilities. There are major obstacles in generating, transmitting and distributing electricity due to a lack of suitable infrastructure which severely constrains sustainable economic growth. Key aims should be to enhance the efficacy and efficiency of the local energy infrastructure and increase the availability of electricity by fostering domestic resource mobilisation (DRM). Crucial mechanisms to achieve these goals could be the provision of policy guidance, technical assistance and capacity building. For example, staff at the Myanmar Ministry of Electricity and Energy (MoEE) could benefit from training to gain expertise in designing, implementing and monitoring energy sector policies. Such knowledge-transfer projects can be assigned to actors from the private sector, such as consulting firms specialised in international development co-operation, through a transparently conducted call for tenders. Another important option is the provision of official development assistance (ODA) to unlock the full potential of finance and investment from the private sector for sustainable development. The institutional establishment of an independent regulator to supervise and monitor the electricity market would be an important step to further promote the liberalisation of the Myanmar energy sector. Regulating the local energy market would allow the controlled introduction of competition and innovation into the market. This would lead to an increase of efficiency in generating and providing electricity. A competitive electricity market would support the financial viability of the energy sector in the long term. Another crucial pillar for further development is the mobilisation of resources at the domestic level. Additional revenue available to the government should be invested to enhance the exaction and administration of taxes and the efficient management of public funds to successfully reform the energy sector. To achieve this aim, the government would need support in improving the local tax system and the management of public expenditure by implementing a greater degree of accountability, rebuilding trust and increase domestic tax revenues. This in turn would enable the government to improve the investment climate, increase its access to finance by promoting DRM and attracting international investments from private sector entities. Unfortunately, the MoEE is currently incapable of investing into required infrastructure. To reduce inefficiencies of the power supply and encourage investments, while promoting further economic growth, countries must prioritise reliable and affordable energy generation and aim for sustainable development by attracting and channelling foreign investments into strategic infrastructure projects to modernise the local energy grid system on a nation-wide level. The Myanmar government should thus try to create the proper business environment and further commercial incentives to attract private investments in sustainable forms of electricity generation based on solar, wind and hydropower energy sources. Asian Development Bank (2016): Myanmar: Energy sector assessment, strategy, and road map. Manila: Asian Development Bank. Ostojic, Dejan R. et al. (2016): Energizing Myanmar: Enhancing access to sustainable energy for all. Washington, DC: The World Bank Group. World Bank Group (2016): Global community makes record $75 billion commitment to end extreme poverty.